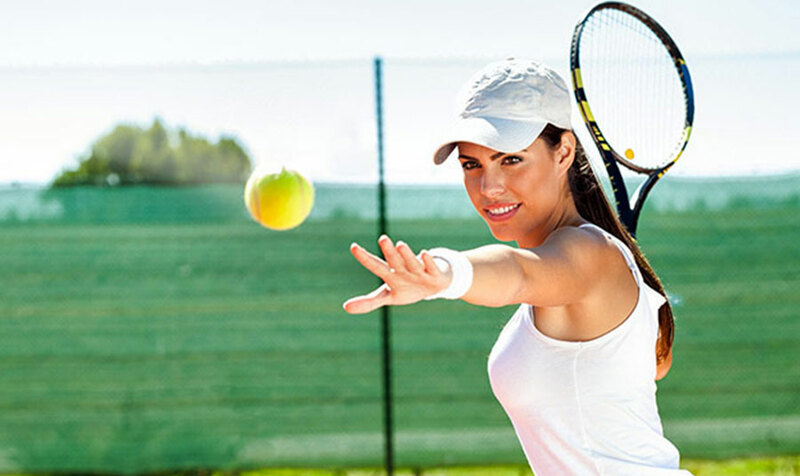 Some of the top women's tennis players in the world will converge on Toronto this August during the Rogers Cup, an acclaimed tennis tournament presented by National Bank at Aviva Stadium. Since 1881, the Roger Cup has been one of the most prestigious tournaments in the game, attracting top players to Canadian courts for a battle supreme. This year, the Rogers Cup will be hosting the best athletes in women's tennis from August 5-13, including Venus Williams, Angelique Kerber, Simona Halep, Karolina Pliskova, and Canada's Eugenie Bouchard. Want to see the action in person? A wide variety of individual tickets, multi-session ticket packages, and entertainment options are available to suit your schedule. Book a private, fully furnished suite at the Aviva Centre for your friends and clients and enjoy an exclusive VIP experience. Will you be visiting Toronto for the Rogers Cup at York University? Book a luxurious suite at our waterfront hotel for the ultimate sports fan experience. Our downtown location is ideal for exploring Toronto events and attractions, and we offer an exciting selection of amenities including a 24-hour gym, indoor pool, and spa. Would you like to know more about our hotel? Do you have questions about travel planning? Please contact us today at 1 (416) 597 1400 for more information and to book your reservations.